[PDF] Essential Questions to Ask Yourself When Buying a House in France: And How to Ask Them | Free eBooks Download - EBOOKEE! Description: You're planning to take the plunge and invest in your dream: a property and a life in France. How can you be sure to avoid mistakes? This book will take you step by step through all the questions you need to ask, such as: Has this property been treated for infestation? Is there mains electricity? Is there a possibility of purchasing further land? Are there any plans for development in the area? Use the benefit of someone else's experience to guide you through questions about the structure of the building, letting the property and the availability of workmen. Each topic will include a brief discussion on why it's important, touching on relevant French laws and systems. All the phrases are translated into French, with a pronunciation guide. 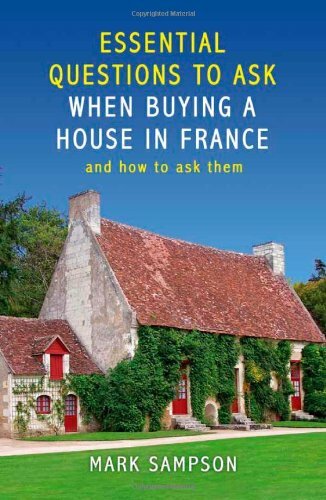 No comments for "[PDF] Essential Questions to Ask Yourself When Buying a House in France: And How to Ask Them".